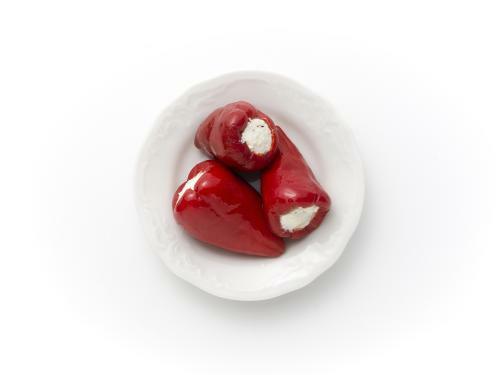 Red bell peppers, cheese mixture, sunflower oil, salt. Hot and spicy. Typical of red bell peppers and cheese. Red in the peppers and white in the cheese.